Located at The Marketplace Shopping Center in Southern Shores, we are a delicious, convenient stop for breakfast or lunch! 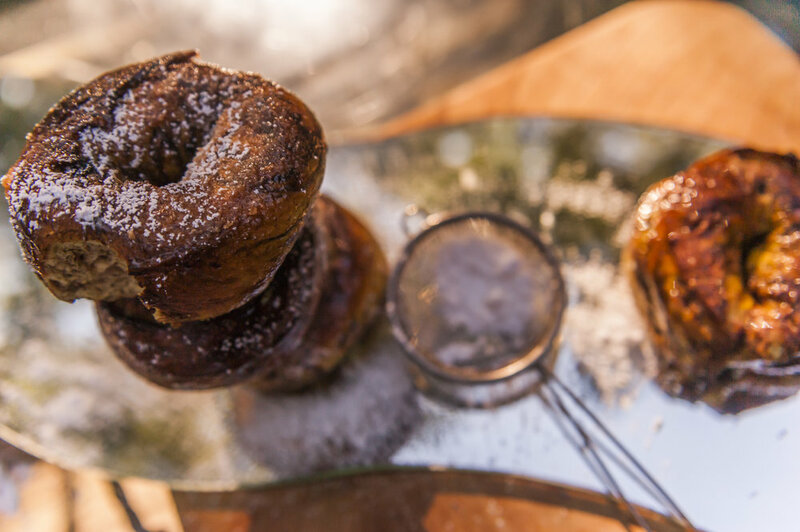 We only settle for the best here at Barrier Island Bagels! Our bagels are never frozen and are made with the best ingredients on the market. We take the time to hand make our dough daily to ensure you get the freshest and most delicious bagels on the Outer Banks! NOT JUST A BAGEL SHOP! Happy to Be Healthy. Acai Bowls and Homemade Smoothies. Got a craving for something else? We are not just a bagel shop. :) We offer many tasty breakfast and lunch options that are just as delish. 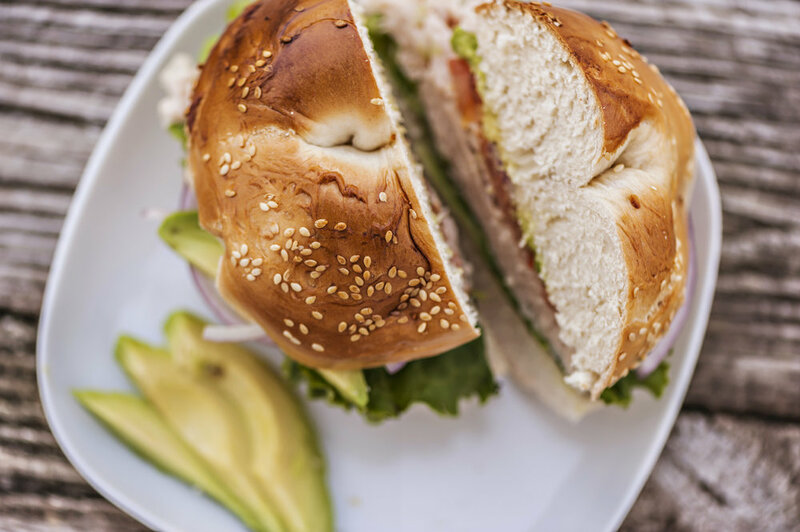 At Barrier Island Bagels, our homemade and creative recipes have made BIB the perfect alternative to a boring breakfast or lunch. 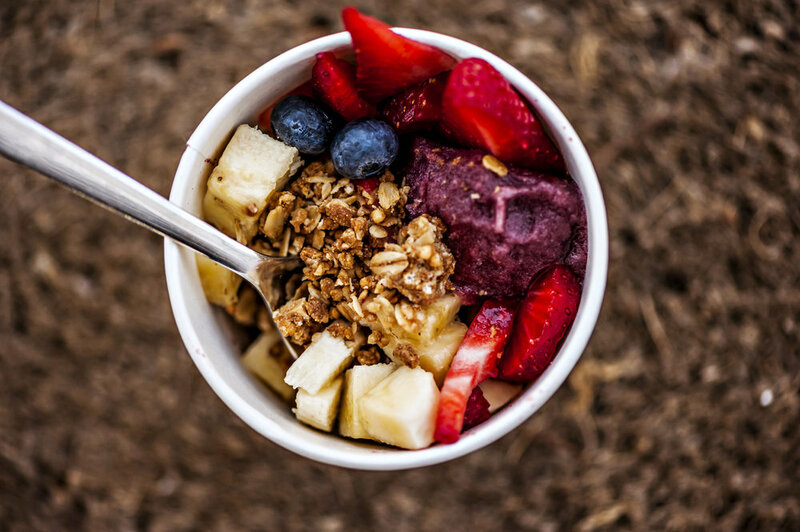 Breakfast here is more than just bagels with BIB’s signature smoothie and acai bowls including 7 house special smoothies plus the option to customize to your taste-buds. 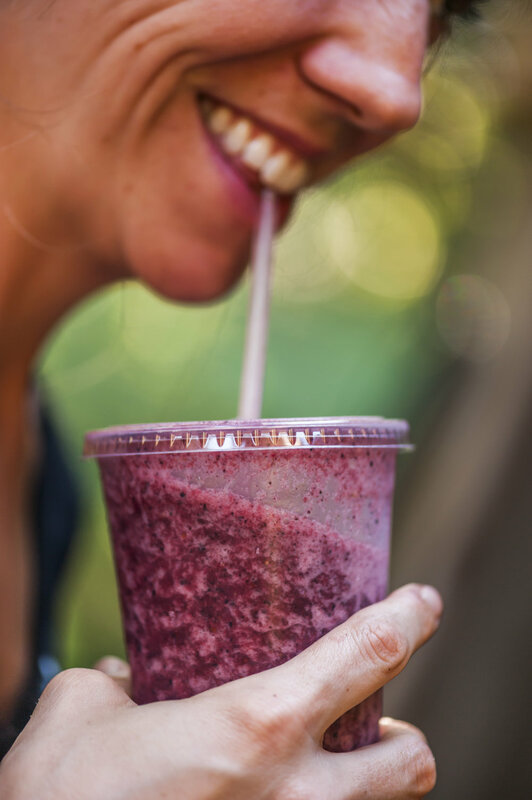 We love to add chia seeds, Spinach, Kale, and avocado to our smoothies too! Trying a smoothie might be the perfect addition to your breakfast bagel or signature sandwich. For lunch our delectable deli features subs and sandwiches that will make your heart melt made with quality Boars Head meat! Our favorite lunch specialties include The Albemarle, The 158 and The OBX. Add don't forget to try our homemade chicken salad. Allison and Josh Legg are a husband and wife team with an extensive background in bagels. 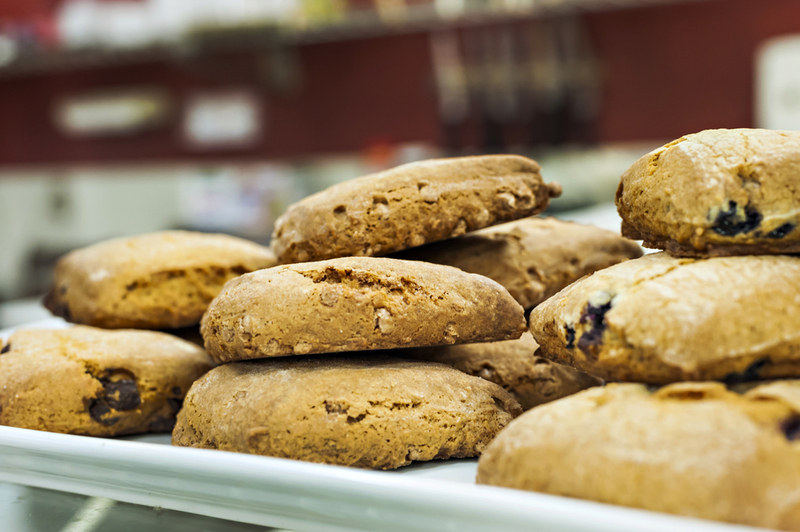 Having worked with Lighthouse Bagels for many years, they learned from the best of the best! Allie and Josh met and fell in love in Corolla, and were married at the beautiful Sanctuary Vineyards in Currituck. Now raising a family and running a business in Dare County, they take being a part of the Outer Banks community seriously. French Toast Bagel, Peanut Butter Cream Cheese & Jelly- Strawberry or Grape. House made Old Bay Crab Dip with lettuce and onion served on your choice of bagel. Hot ham and american cheese served on a toasted spinach feta croissant. Roast Beef, Cheddar, Peppers, Onions, Mushrooms, Mayo, Horseradish served HOT on a 6” Sub. Includes Chips. Spicy Turkey, Swiss, Peppers, Onions, Tomato, Mayo, House Vinaigrette served HOT on a 6” Sub. Includes Chips. Corned Beef or Pastrami, Swiss, Sauerkraut, Russian Dressing served HOT on a 6” Sub. Includes Chips. Turkey, Roast Beef, Bacon with Lettuce, Tomato, Mayo served on your choice of 3 slices of toast. Includes chips. Fresh Mozzarella, Tomato, Roasted Red Peppers, Cucumbers, Sun Dried Tomatoes, Avocado, Spinach, Balsamic Reduction with Basil Mayo on Ciabatta Bread. Homemade Tuna Salad, melted Swiss, House Vinaigrette, Avocado on Rye. Ham, Cappy Ham, Pepperoni, Salami, Provolone Cheese with Tomato, Banana Peppers, Lettuce, Onion, Oil/Vinegar on a 6” Sub. 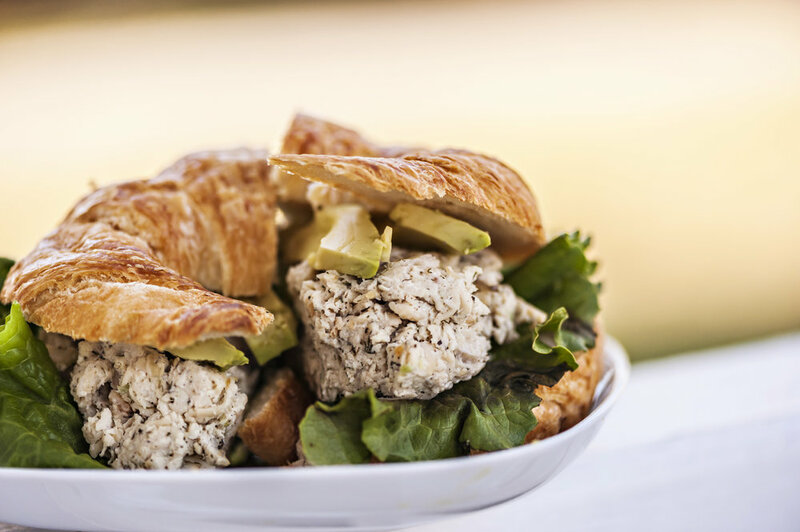 Our Homemade Chicken Salad served your way, however you like it. Black Forest Ham, Smoked Turkey, Smoked Gouda Cheese, Bacon, Lettuce, Tomato and Honey Mustard served on homemade White Bread. Spinach, Tomato, Sprouts, Cucumbers, Onions, Provolone Cheese with House Vinaigrette served on homemade Wheat Bread. Rotisserie Chicken, your choice of Cheese, Lettuce, Tomato, Ranch, your choice of Bread. Turkey, Brie, Spinach, Fresh Sliced Red Apple & Basil Mayo on your choice of Bread. 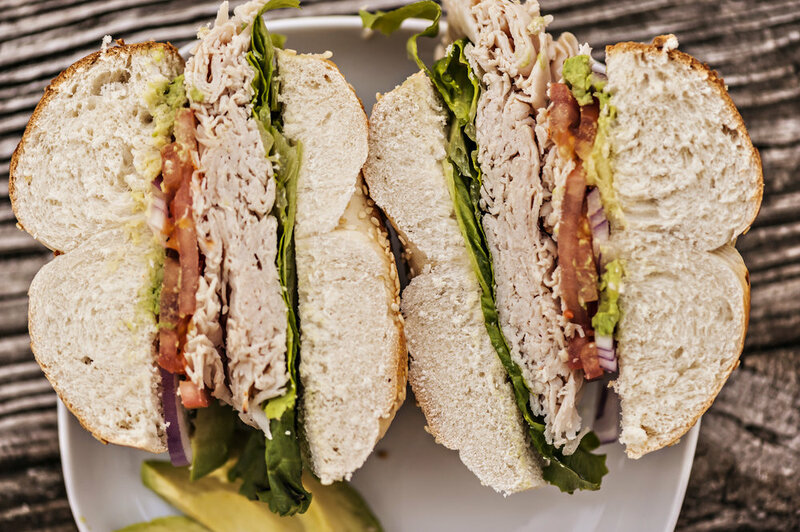 Turkey, bacon, smoked gouda with lettuce, tomato, avocado and basil mayo served on a ciabatta. Includes chips and a drink. Roast beef, turkey, bacon, swiss cheese, lettuce, tomato, mayo and dijon horseradish dressing served on your choice of bread. Includes chips and a drink. Ham, cappy ham, pepperoni, salami, provolone cheese with tomato, banana peppers, lettuce, onion and oil and vinegar on a 6” sub. Includes chips and a drink. Turkey, muenster, cucumbers, sprouts and ranch dressing served on ciabatta. Includes chips and a drink. Our homemade chicken salad, bacon, lettuce, tomato and house vinaigrette served on ciabatta. Includes chips and a drink. Lettuce, Tomato, Onion, Sprouts, Cucumbers, Banana Peppers, Mushrooms, Roasted Red Peppers, Black Olives, Spinach, Sun Dried Tomato. Fresh Cut Romaine Lettuce with Tomato, Onion, Cucumber, Cheddar Cheese and Homemade Croutons. Grilled Chicken served over fresh Romaine Lettuce with Parmesan, Homemade Croutons and Caesar Dressing. Feta, Pepperoni, Black Olives, Onions, Cucumbers, Banana Peppers, Tomato and Croutons served on Romaine Lettuce with our House Vinaigrette. Turkey and Ham served over Romaine Lettuce with Cucumbers, Tomato, Cheddar Cheese, Hard Boiled Eggs, Bacon, Croutons and your Choice of Dressing. House Roasted Beets, Feta, Tomato, Onion, Cucumber, and Croutons over Fresh Spinach, Purple Kale and Romaine Lettuce with our House Vinaigrette. We are proud to bring you the very best in homemade options for your special event. 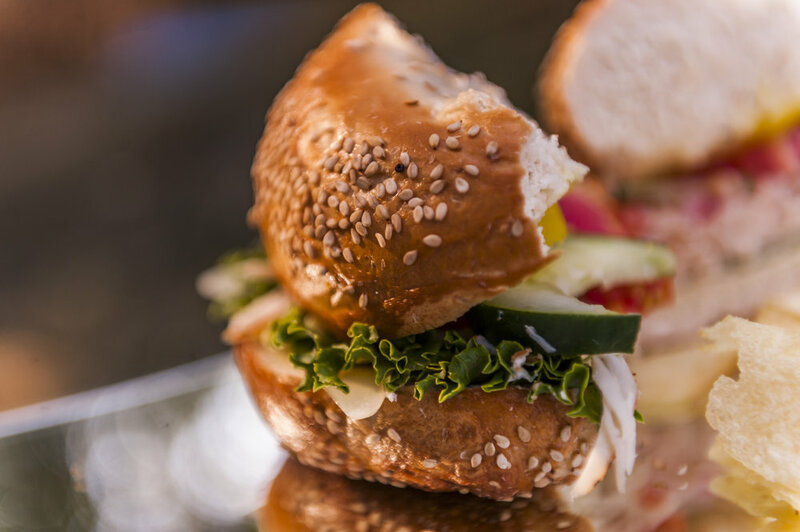 Whether it be baked goods, breakfast sandwiches, bagels with cream cheese, bagels by the dozen, lunch sandwiches, salads, or coffee, we are happy to provide you with catered meals to suit your tastes and needs. Contact us using the form and tell us what you're looking for! No time to wait today? Give Allie a call at 252-255-2888! She's happy to take your request and create a custom catered order just for you! Thank you! We will get back to your request as quickly as we can. No time to wait today? Just give Allie a call at 252-255-2888! She's happy to take your request and create a custom catered order just for you! 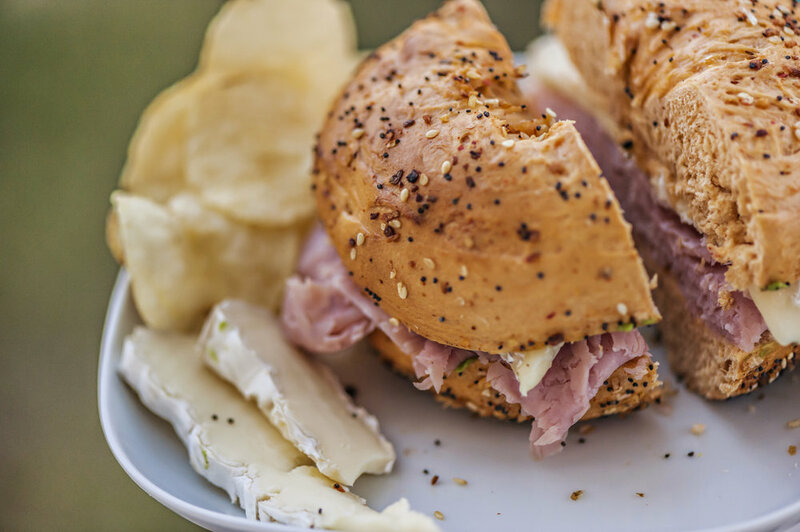 Thank you for considering Barrier Island Bagels as your bagel supplier! 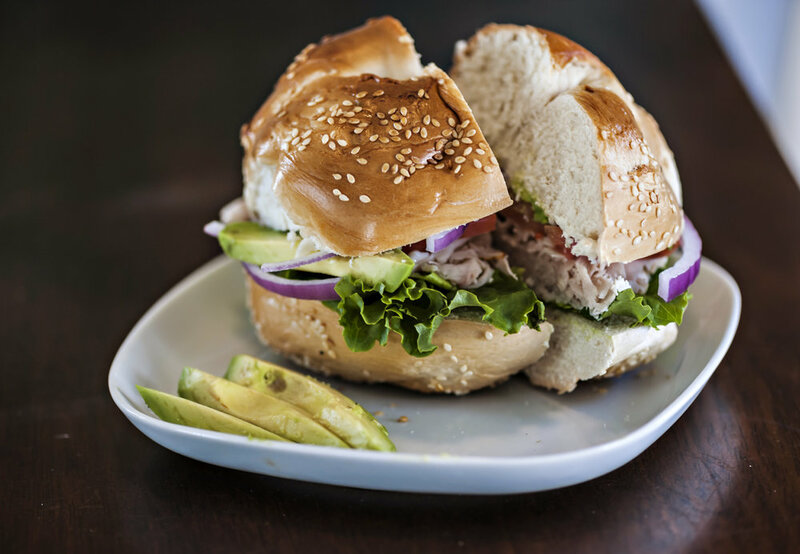 We only settle for the best here at Barrier Island Bagel’s. Our bagels are never frozen and are made with the best ingredients on the market. We take the time to hand make our dough daily to ensure you get the freshest and most delicious bagels in town! We look forward to hearing from you! For pricing and/or service please contact Allie at 252-617-5169 or fill in the form and we will contact you. Barrier Island Bagels makes saying “thank you” easier than ever! The Homeowner’s Program is designed to be an easy and inexpensive way home owners to say thank you to their renters. 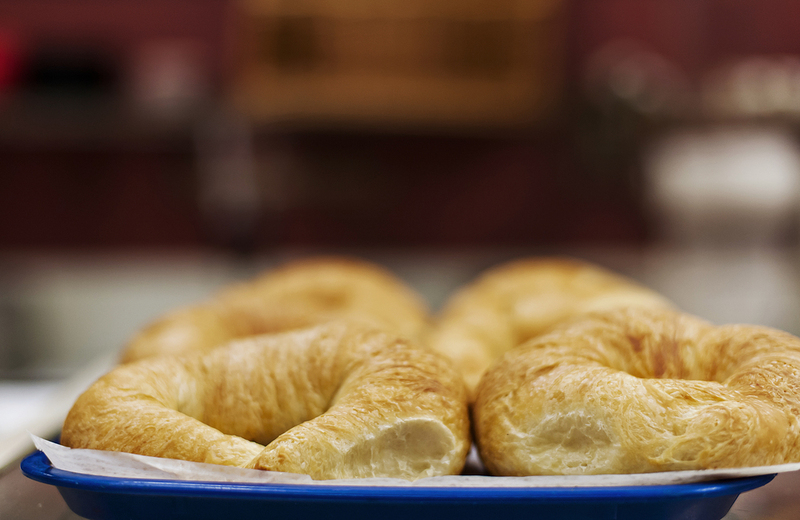 We provide three options: each including a baker’s dozen with your choice of adding a cream cheese. All you have to do is pick a plan, provide us with your information in the form adjacent, and viola! You and your renters are all set! Not only do we provide your renters with fresh, delicious bagels each week, we also monitor your plan all year to make sure you and your renters are getting what you paid for. We are looking forward to hearing from you and creating the perfect cottage program to fit your needs! Join the Barrier Island Bagels Homeowner's Program now by filling in the form below, we will contact you afterward to finalize the details. Please enter your home mailing address, not the address of your rental home. Please add the name of the company your rental home is listed with. Please add the name of your rental home and the number associated with it by your rental company. Please select which plan best fits your needs. Thank you for your interest in the Barrier Island Bagel Homeowner's Program. We look forward to speaking with you about your request and will contact you shortly! Sign up for our newsletter, and stay up to date on special offers, news and more via email.